Some random things I think are cool. I’m home sick (screw you, virus) and thought I’d post some writing inspiration/things I just think are cool. I imagine all of these will eventually make it into my writing in one way or another. 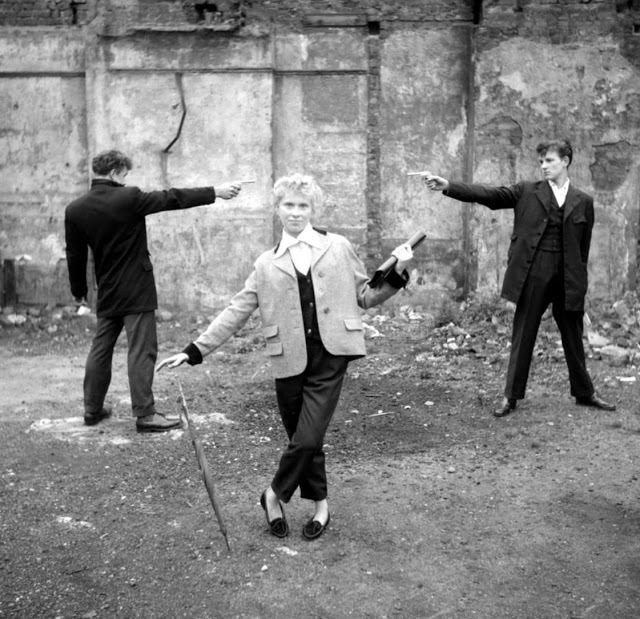 In a short, photo-heavy article on the “The Forgotten 1950s Girl Gangs,” MessyNessy looks at the Teddy Girls, a British subculture from the 50s “characterized by an unlikely style of dress inspired by Edwardian dandies fused with American rock’n roll.” I love every single one of these photos. 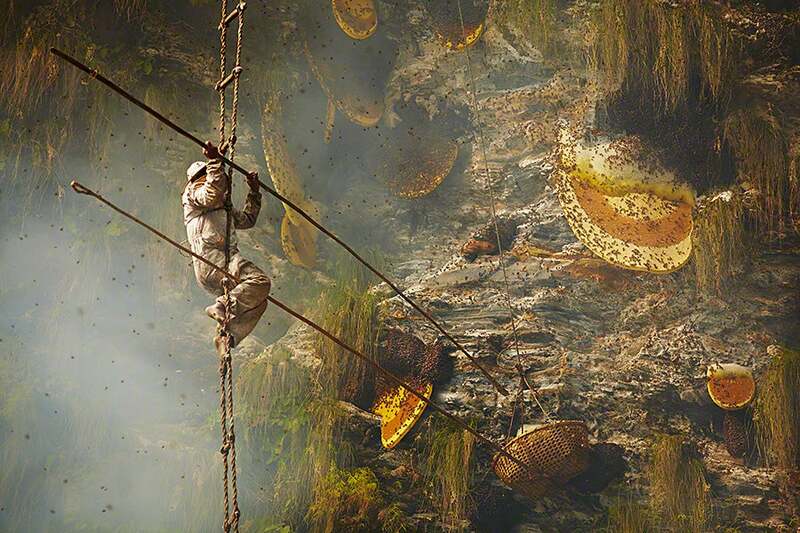 “Twice each year, the Gurung tribespeople of Central Nepal risk their lives collecting wild honey from the world’s largest hives high up on Himalayan cliffs.” How is this not the most beautiful thing ever? I already know exactly where and why this will be in one of my novels. All of Andrew Newey’s photography is really stunning. Ronald McNair was one of the seven astronauts killed when the Challenger shuttle blew up just after take off. I clearly remember this happening (yeah I’m old, get off my lawn!). McNair’s story as told by his brother, Carl, in this short video made me cry all the tears. Also, shout out to StoryCorps that recorded this – one of my favorite ongoing ethnology projects. WTF, this is…amazing. Give it a minute to pick up. This Tumblr is a collection of auditory illusions that are just mind blowing. The internet has introduced me to many things I didn’t even know I love until I found it on the interweb. This tumblr features everything from North Carolina Hollerin, Russian panpipes, beatboxing, classical composers, and Tuareg vocalists. Though the internet has introduced me to many wonderful things, it has also introduced me to a new phobia that I doubt I would have ever even known about were it not for my exposure via the internet.